On January 19th we hosted our very first HS boys and girls basketball tournament on campus. The Wroclaw International School, a local basketball team Korona Basketball and the British School of Cracow were the school invited. 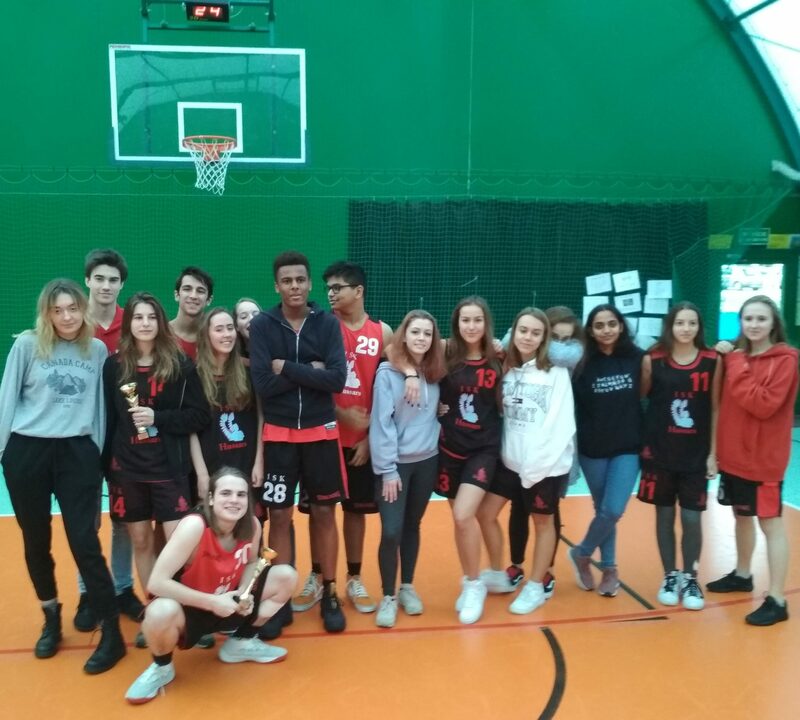 The tournament proceeded smoothly with all teams giving their best effort on the court and connecting with old friends from the visiting schools and making new acquaintances. Our boys team played and won the games they played, showing great commitment and nice actions. Of notice were a couple of monster dunks by Alex! The girls instead I were topped by the opponents despite the great effort they put in each game. The best 2 players, one boy and one girl from each team were selected to represent their school in a final game, the ALL STAR. Two mixed teams were made and the show began! Finally one member of each team received a trophy for demonstrating great sportsmanship for the boys team Raphy collected the prize while for the girls Zuza received it. That was the final act of an awesome, fun tournament!